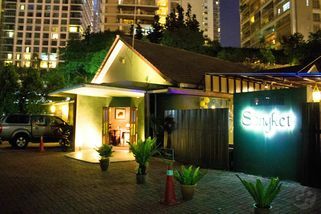 29, Jalan Yap Kwan Seng, 50450 Kuala Lumpur. 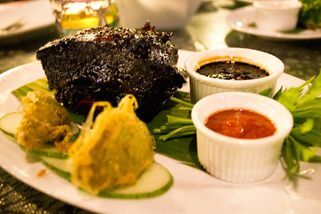 Nestled in a little corner of Jalan Yap Kwan Seng, Songket Restaurant, with its list of top notch dishes like the ever famous Rusuk Panggang, home-cooked style of Ayam Nangka and Kari Udang Raja, is truly an exclusive dining experience catering to those who wish for the authentic taste of traditional Malay cuisine, right in the heart of Kuala Lumpur. The restaurant opens daily from 12pm to 11pm. 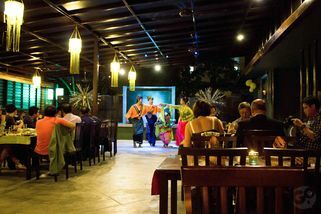 As an even more unique offering, the restaurant treats visitors to an exciting showcase of their 1Malaysia dance each night. 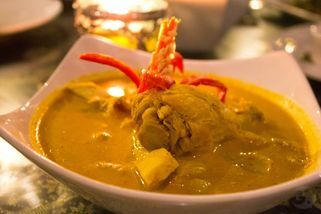 Songket Restaurant is officially endorsed by the Malaysian Tourism Board. A perfect place for locals and tourists alike. 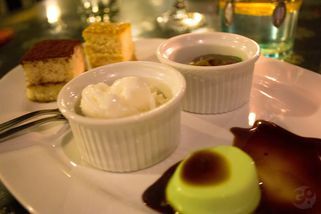 Must haves are the virgin mojito, rusuk panggang and durian tiramisu. I been to Songket twice and it is a well hidden at jalan yap kwan seng near klcc. With the backdrop of pricey condos and office towers, you still can view the KLCC from the restaurants. the food in general are good and they performances from time to time. This restaurant has a rather unfortunate location - behind rows of shops on Jalan Yap Kwan Seng. Basically, you have to enter the parking lot to see it. But once you enter the restaurant, it's a beauty. The restaurant is very well decorated and it feels as if you're transported back in time with its classic and rustic look. As for the food, I've only had the chance to order their lunch special (which is reasonably priced). I ordered the Nasi Kerabu while my friend ordered the Nasi Dagang. To be honest, there's room for improvement in terms of taste. Presentation wise, I'd give them 5/5. Taste wise, perhaps only 3/5 for now. Hopefully this can be improved over time as there's so much potential in this restaurant. Service is good, ambiance is excellent. I do recommend others to try this place out. 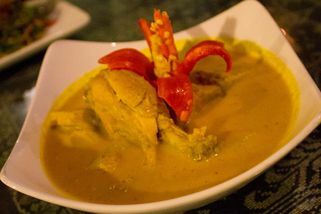 Although I haven't had the chance to try other things apart from those mentioned above, I've been told that the other items on the menu are highly regarded. Went there after work and the place is filled with people. Highly recommended to go at night. There have 1Malaysia's cultural dance!! Getting entertained while dining is never a turned-down. 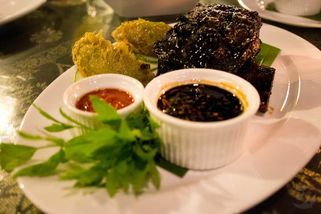 Love their Ayam Nangka and Rusuk Panggang.